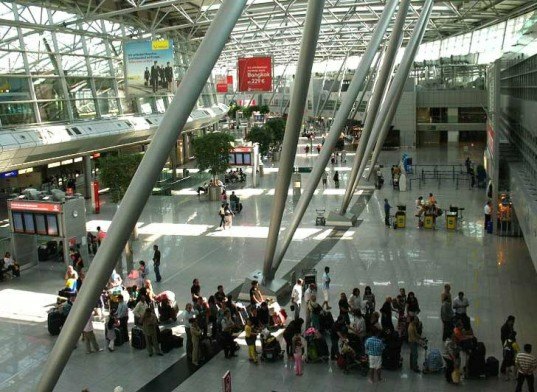 The Düsseldorf International Airport is about to flip the switch on one of the largest solar arrays in Germany. The 8,400 panel, 2 megawatt solar array spans the space of six soccer fields, and it was finished in time to start feeding power to the grid before the clock strikes 2012. To prove the solar array’s everyday worth, the airport has installed a real time statistics ticker in the airport lobby so passengers can see how much energy it is creating and how much carbon dioxide is being diverted from the atmosphere. Construction on the array was completed in just eight weeks — it was started this past October — and was built through a partnership between Düsseldorf International and a subsidiary of the city’s public services, Grünwerke GmbH. “A PV plant of this magnitude within the safety parameters of one of the country’s largest passenger airports reflects a new way of thinking about renewable energies, and we welcome it as another contribution of our city in the service of environment,” said Dirk Elbers, Düsseldorf’s mayor. 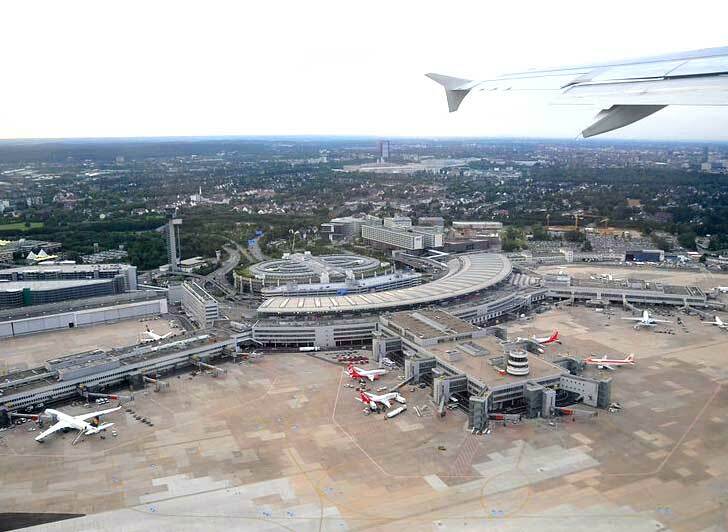 The solar array is the largest ground-mounted system located within the security zone of a German Airport but it isn’t the Düsseldorf Airport’s first foray into renewable energy. “Solar energy is not the only source of renewable energy at DUS. We also employ combined heat and power technology in a block heating station, and keep carbon dioxide emissions even lower this way,” noted Christoph Blume, CEO of DUS. The new solar array will create enough power to run 600 four person homes every year. The Düsseldorf International Airport is about to flip the switch on one of the largest solar arrays in Germany. The 8,400 panel, 2 megawatt solar array spans the space of six soccer fields, and it was finished in time to start feeding power to the grid before the clock strikes 2012. To prove the solar array's everyday worth, the airport has installed a real time statistics ticker in the airport lobby so passengers can see how much energy it is creating and how much carbon dioxide is being diverted from the atmosphere.